Almost two decades after the infamous Florida recount to determine the 2000 presidential election, voters again have reason to look at Broward County's election system with contempt and suspicion. In 2000, Broward County went so far as to judge indentations in ballots as legitimate votes. This netted Democratic nominee Al Gore an extra 567 votes -- not enough to beat George W. Bush but enough to sow distrust among concerned citizens. Nearly two decades later, Broward County is back to its old tricks. Democratic incumbent Sen. Bill Nelson is running for re-election, but he trailed his opponent, GOP Gov. Rick Scott, on election night. The margin of some 12,600 ballots was slim enough to warrant a 67-county recount by Florida law -- but not a well-run recount in Broward County. In accordance with the recount rules, election officials were supposed to submit the results of a five-day round-the-clock recount on Thursday at 3 p.m. Problem: The Broward recount would have added more than 700 votes to Republican Scott's tally. What to do? Election officials somehow did not send the recount numbers to state officials until two minutes after the deadline. The state then announced it would not recognize the new numbers. "Basically, I just worked my a-- off for nothing," complained Joe D'Allesandro, Broward County's director of elections -- as if it were all about him. Broward County's supervisor of elections, Brenda Snipes, a Democrat with an affinity for controversy, has her own special history. Snipes also admitted to mistakenly counting 22 absentee ballots that were not legal to include. Oops. In 2018, a Florida judge ruled that Snipes had illegally destroyed ballots in a 2016 primary, even as one of the Democrats took her to court to preserve the ballots. Snipes said it was a "mistake." In 2016, Broward also posted election results online 20 minutes before polls closed. Florida is continuing with a hand count of the Senate race, as per state law. Experts say they don't see the possibility of a reversal in Nelson's favor -- but he will not concede. Tallahassee Mayor Andrew Gillum, a Democrat, conceded to Republican Ron DeSantis on election night -- and then took it back. A recount of ballots for the Florida gubernatorial race showed DeSantis ahead by more than 30,000 votes. He actually gained one vote in the recount -- which means there will be no hand recount. 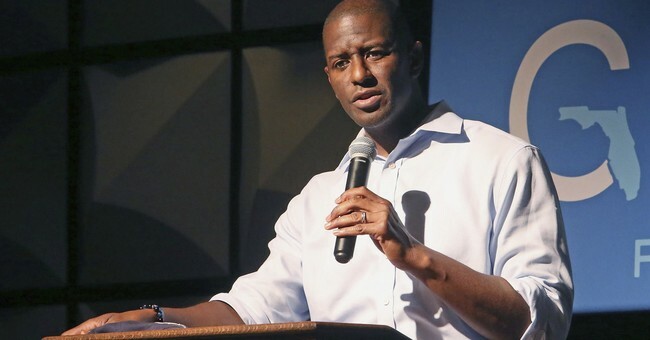 The math is clear, but Gillum refused to concede, saying, "It is not over until every legally casted vote is counted." President Donald Trump tweeted last week, before the recount ended, that "an honest vote count is no longer possible." That assertion was not true at the time, but it is hard to see how Gillum and Nelson think they can win here. It would take a cache of votes to magically appear. There's a lesson for Americans here. After 2000, Democrats argued that the Electoral College should not determine the presidency. Instead, they said the prize should go to the candidate who wins the popular vote. That would have been Gore in 2000 and Hillary Clinton in 2016. It is a recipe for a national nightmare. Counties such as Broward could become pivotal to victory or defeat not just for the Sunshine State but for the entire nation. Counties that run elections smoothly can't be gamed. It would be the incompetent or corrupt operations that could determine who wins. Nobody has more faith in the electoral system after a recount. Ask Nelson and Gillum.